Books On Beechwood – We know our books! While the war of the seasons continues to rage outside our windows, it’s not hard to spot the signs of spring inside the store these days. 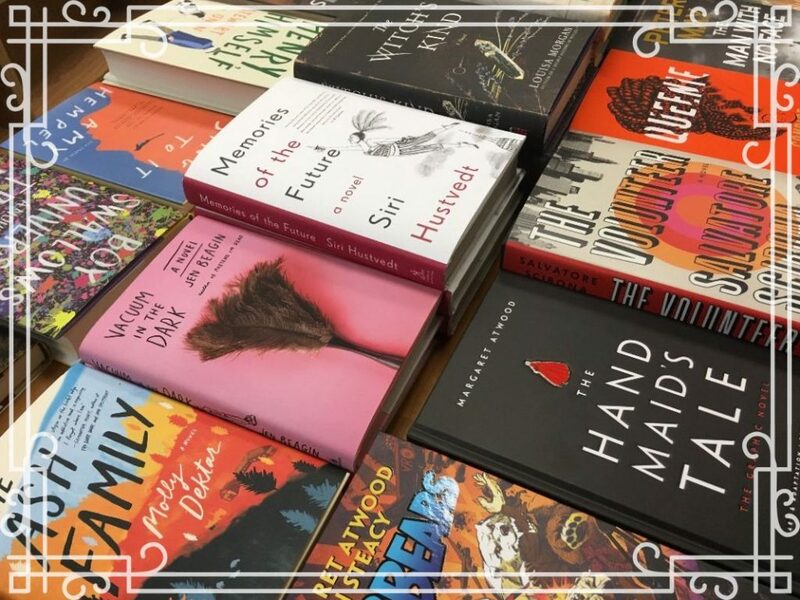 There are fun new gift items gracing our shelves, restocks of old favourites, and more new softcover books sprouting up than you can shake a stick at! Our in-store book signings, like migrating birds, have even returned from their winter hiatus, which is always a key indicator of a seasonal shift. So, with an extra bounce in our step and a birdsong in our hearts, it’s time to bid goodbye to winter (snow or no snow) and say hello to all the hopeful possibilities that come with spring, literary and otherwise! If the return of the sun and disappearance of the ice isn’t motivation enough to make you dip your toes outside this month, why not make a special trip out to one of our upcoming book events? This coming Saturday, April 13, local science-fiction author John Haas will be in the store between 11:00am and 12:00pm to sign copies of Writers of the Future: Volume 35. His story, The Damned Voyage, is just one of 24 winners of the Writers and Illustrators of the Future competition featured in this amazing collection. 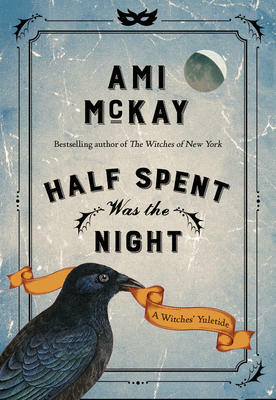 Perfect for fans of fantasy and science-fiction stories, this book is not one to be missed! Jonathan Rotondo will be paying us a visit on Sunday, April 14 from 12:00pm to 2:00pm to sign copies of his new memoir, Airborne. Full of fascinating aviation history and exhilarating storytelling, this is, in essence, the story of a father and son and the ways in which we can learn more about our present by delving into our past. Be sure to stop by the store on Wednesday, May 1 to meet local poet and writer, Jacqueline Bourque. She will be here from 5:00pm to 7:00pm to launch The Dune as Bookmark, her new collection of poetry. Keeping things going into May, Invisible Publishing authors Bindu Suresh and Andrew Forbes are hitting the road this spring and will be stopping in to see us on Friday, May 10 to launch their new books, 26 Knots and Lands and Forests, respectively. Be sure to come by between 6:00pm to 8:00pm to meet these two great authors and enjoy an evening of readings, mingling, and bookstore fun! With the NHL playoffs just kicking off, we’re sure at least some of you will be taking a short hiatus from your to-read pile to take in every pass, shot, and cross-check happening on the ice. Luckily, for those of you who won’t be glued to your TV sets in the coming weeks, there are lots of great new books flooding through our doors every day and we guarantee that when you’re next in the market, you’ll find something to entrance and entertain you in equal measure. At the Mountain’s Edge by Genevieve Graham is not only the newest novel from one of our go-to Canadian authors, but it’s also an eye-opening read about what might be a slightly lesser-known period of Canadian history. When Liza’s father decides to move his family from their comfortable Vancouver home to the wild streets of Dawson city in order to profit from the Kondike gold rush, he sets them all on a path that will change their lives forever. Full of breathtaking adventure, harrowing experiences, and burgeoning hope in times of extreme darkness, this unforgettable novel introduces readers to a determined, spirited young woman who must find her own way against all odds. From the mountains of the North to the rockstar tour buses of sunny California, Taylor Jenkins Reid has given us a fascinating read rumoured to have been inspired by the incredible Stevie Nicks and the legendary band Fleetwood Mac. Set in the 1970s and told in a classic rock biography style, Daisy Jones & The Six is a groovy trip back in time that will appeal to anyone who loved the movie Almost Famous! There’s no doubt in our minds that one of the most fascinating books in the store right now is Mark Bourrie‘s Bush Runner. Exploring the life of Pierre-Esprit Radisson, one of the co-founders of the Hudson’s Bay Company, this new biography follows its subject far and wide from the communities of First Nations and French fur traders in North America, to the homes of influential Dutch families in Holland, to the cobblestone streets of London during the Great Plague and the Great Fire. Though perhaps not the most upstanding of characters – he double-crossed more people than you’d think one could in a single lifetime – Radisson definitely lead a varied and colourful life and, in keeping a personal journal of his adventures, has given us, through Bourrie’s writings, a unique and irreplaceable look back into 17th Century Canada. For a very different kind of history, why not take a peek at Classical Music: Expect the Unexpected by Kent Nagano? As a world-famous conductor, Nagano knows a thing or two about classical music and has been living and breathing the genre since he was a child. Part memoir, part social history, this book explores the journey the classical genre has taken over the years and the fact that its reach seems to be getting smaller and smaller. Where once it was a universal genre, it’s now in danger of becoming simply a hobby for the higher echelons of society. Written with love and passion, this book would be a good one for all music lovers to read. If there were an award for biggest book release of the year so far, beloved children’s author Jeff Kinney would definitely be the 2019 recipient! His newest release, Diary of an Awesome Friendly Kid, gives readers a bit of different perspective into the Wimpy Kid world as it’s the diary of Rowley Jefferson instead of Greg Heffley. In this new book, Rowley actually decides that he’s going to write Greg’s biography since everybody knows that Greg is going to be famous someday. The result is a hilarious, topsy-turvy mess and fans of the original series will be endlessly entertained by all the ups and downs in this singular Wimpy Kid story! Though it’s hard to imagine a Monty Python story for kids, Matt Phelan seems to have produced just that in his new book Knights vs Dinosaurs. King Arthur’s court is at peace and there seem to be far fewer dragons around than there used to be. As a result, the Knights of the Round Table have been doing a fair bit of thumb twiddling recently. So when Merlin decides that he’s going to send the knights out on a real adventure to a land filled with the most dangerous lizards of all time, you know you’re in for a wild ride! Perfect for fans of How to Train Your Dragon by Cressida Cowell, Diary of a Wimpy Kid by Jeff Kinney, and The Terrible Two by Mac Barnett! Finally, because it’s almost Easter, we want to highlight one of our favourite picture book releases from recent days. Though it’s not about Easter at all, it does feature an adorable bunny, and that’s close enough for us! The Rabbit, The Dark, and the Cookie Tin by Nicola O’Byrne is a beautifully illustrated story about a little bunny who doesn’t want to go to sleep. Since darkness seems to be a key element to bedtime, this little bunny decides that if he gets rid of the dark, he’d be able to stay up as long as he wants. Unfortunately, stuffing the dark inside a cookie tin creates other problems for little bunny and his friends – no bedtime stories being one of the major ones! Charming, sweet, and cute beyond belief, this picture book is bound to become a story time favourite! We wish we could tell you about all our favourite new books in great detail, but our newsletter is not nearly long enough for that, and we’re not entirely convinced anyone would want to read hundreds of pages of us waxing poetic about books. So, here are some other new and forthcoming releases that we’re excited to share with you: The American Agent by Jacqueline Winspear; Heat Wave by Maureen Jennings; European Travel for the Monstrous Gentlewoman by Theodora Goss; Warbears by Margaret Atwood; Operatic by Kyo Maclear; Sky in the Deep by Adrienne Young; The Bookshop of the Broken Hearted by Robert Hillman; The New Silk Roads by Peter Frankopan; The Book of Dreams by Nina George; Why Don’t You Write My Eulogy Now So I Can Correct It? by Roz Chast and Patricia Marx; Why Do Onions Make Me Cry? by Jay Ingram; Ada Twist and the Perilous Pants by Andrea Beaty (April 16); The Department of Sensitive Crimes by Alexander McCall Smith (April 16); The Ice Chips and the Invisible Puck by Roy and Kerry MacGregor (April 16); The Binding by Bridget Collins (April 16); Machines Like Me by Ian McEwan (April 23); Love & Courage by Jagmeet Singh (April 23); Aru Shah and the Song of Death by Roshani Chokshi (April 30); The Runner by Peter May (May 7); The Seven or Eight Deaths of Stella Fortuna by Juliet Grimes (May 7); Shouting at the Rain by Lynda Mullaly Hunt (May 7); The Bride Test by Helen Hoang (May 7). No matter what the weather is doing outside, you can always count on us to observe the appropriate season here in the store, and these dreary April days are no exception. So, if you’re feeling starved for a bit of spring sunshine and light, be sure to pay us a visit! We have lots of great new reads and fun products on our shelves, and are more than happy to help banish your winter blues with books! We will be CLOSED on Friday, April 19 and Sunday, April 21 for Good Friday and Easter Sunday. Regular store hours will be observed on Saturday, April 20 and Monday, April 22. We hope the Easter Bunny is good to you all! Welcome to spring! Okay, so maybe it’s not quite here yet. Still though, the season of crocuses, roadside puddles, and soft, sprinkling rain is just around the corner! It may not look like it now, but undoubtedly, we’ll all be complaining about the summer heat before we know it! 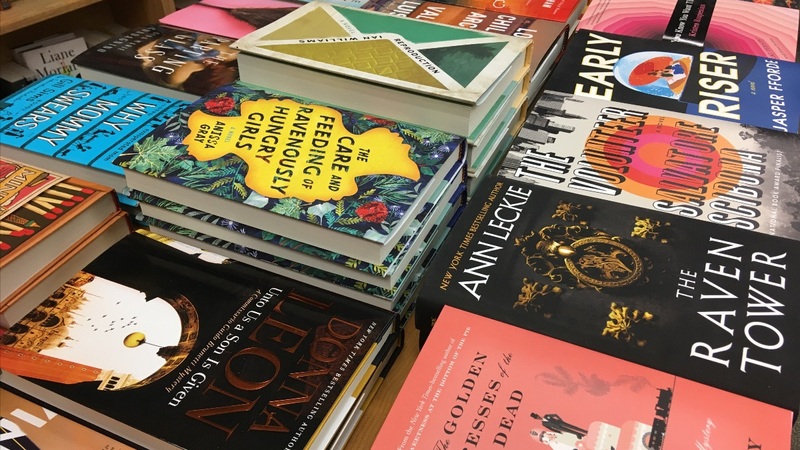 Fresh off a buying stint for forthcoming summer releases, we’re feeling particularly optimistic right now – about the weather and the upcoming publishing season. 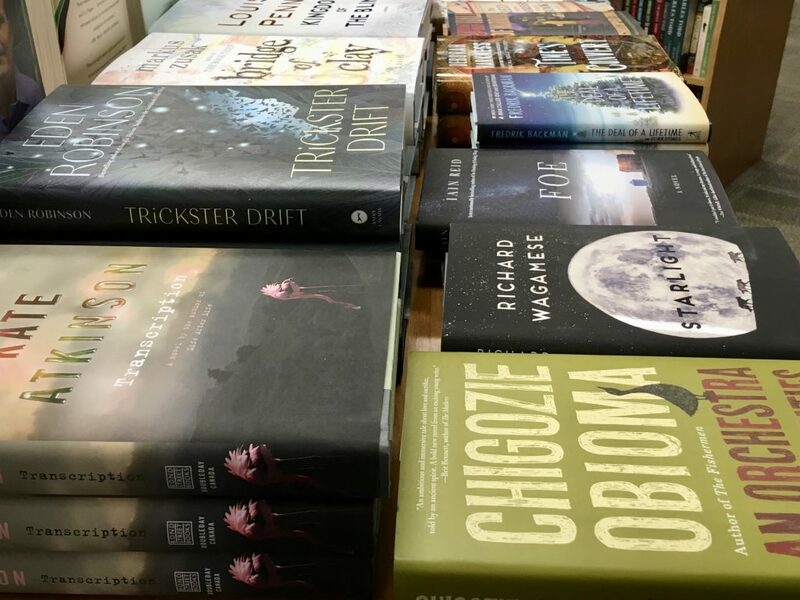 After all, how can we not be happy now that the heat of the sun is finally permeating the frozen shield of winter and when we know that there are new books from the likes of Ian McEwan, Anthony Horowitz, Jo Nesbo, and Philippa Gregory due to arrive in the coming months? Thankfully, despite our excitement about the upcoming book season, we won’t have to wait nearly that long to get a great new read! One of the novels that we’re most looking forward to reading this month is the new Andre Alexis book, Days By Moonlight. Written with the same incredible adeptness which gave us Fifteen Dogs and The Hidden Keys, this new story is at once transfixing and mystifying. Centred around a botanist and a professor who set out on an unconventional road trip, it’s left up to the reader to figure out what’s real and what’s not as we travel through town after town, each more bizarre than the last. Reminiscent of Dante‘s Divine Comedy, Alexis‘ novel is a beautiful, thoughtful journey perfect for fans of complex, intellectual narratives. A very different kind of journey awaits us in The Secrets of Paper and Ink by Lindsay Harrel. When Sophia Barrett leaves her counselling practice for a beautiful town in Cornwall, England in an attempt to work through some of her emotional burdens, she never thought that she would fall into an intriguing mystery and make some new friends in the process. We all know that bookstores are magical places where anything is possible, so when Sophia and her new friend Ginny, a bookstore owner, discover a centuries-old diary, they find themselves on a path of healing and self-discovery that neither could have taken on alone. Sweet and heartwarming, this lovely novel would appeal to fans of Nina George, Jenny Colgan, and Elin Hilderbrand. There are some moments in life when the only thing that you really want (or need) is to snuggle up with a darkly funny, quirky read that will warm your heart and make you laugh out loud, regardless of your surroundings. Following hot on the heels of her successful debut novel, Pretend I’m Dead, Jen Beagin has gifted us with a sequel just as delightful as its predecessor. Vacuum in the Dark continues the story of Mona, a young woman who cleans houses for a living in New Mexico. After moving to Taos two years earlier because of a bad boyfriend, a junkie known as Mr. Disgusting, Mona’s plans to kick-start her life haven’t really worked out the way she’d like – not only is she still cleaning houses, but she’s somehow replaced her old bad boyfriend with a new one! Charming, unique, and endearing, Mona is a character that readers will have no trouble rooting for as she inexorably stumbles and cartwheels her way forward while attempting to make peace with her past and trying desperately to reshape her future. From darkly funny to darkly twisted, Blood Orange by Harriet Tyce is not only blessed with a jacket we just can’t stop staring at, but it’s the kind of story that keeps you so transfixed that before you know it, you’re on the last page! With a murder case at its heart that’s not quite what it seems, this debut thriller follows a young lawyer as her seemingly perfect life begins to spiral violently out of control. If you liked Big Little Lies by Liane Moriarty and Jennifer Hillier‘s Jar of Hearts, you will love this novel full of scandals, secrets, and blackmail! We can’t wait to see what this Scottish author will come up with next! As book lovers, there are few things that give us greater pleasure than reading fascinating books about books, and Edward Wilson-Lee‘s A Catalogue of Shipwrecked Books certainly fits the bill! Steeped in history and one man’s passion for the written word, this multi-faceted book introduces readers to the little-known figure Hernando Colon, the illegitimate son of none other than the famous explorer Christopher Columbus. After the death of his father in 1506, Colon set out to honour his memory by building the world’s greatest library, a collection of every publication every produced – from scholarly texts and literary works to romances and fables. It wasn’t until 1522 when over half his collection was lost in a maritime disaster that this quest became an obsession, and the likelihood of achieving his near-impossible vision began to dwindle. At once riveting and heartbreaking, this incredible account of one book lover’s adventures is a truly unforgettable read! From the high seas to the depths of the earth, Europe: A Natural History by Tim Flannery travels far into the past and treats readers to diverse stories of lost species, meteors, major climate events, and the significant impact humans have had on Europe’s flora and fauna since arriving on the scene. Both enjoyable and educational, this book is perfect for the environmentally curious or anyone who has ever enjoyed an episode or two of the television show Blue Planet! It’s always a happy day when one of our favourite authors comes out with a new books, so it’s no surprise that the moment we unpacked Madame Fourcade’s Secret War by Lynne Olson, we knew it was going to be a good week! 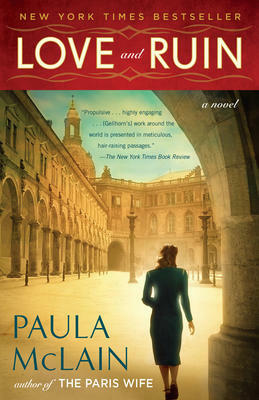 She’s won our hearts again and again with her incredibly readable wartime histories – Troublesome Young Men, Citizens of London, Last Hope Island – and this new book about a thirty-one-year-old Frenchwoman and mother of two who became the leader of a vast intelligence organization during WWII is no different. Marie-Madeleine Fourcade was courageous, strong-willed, and extremely intelligent, and her spy network, Alliance, lasted longer and provided more crucial intelligence to the Allies than any other during the war. It was thanks to Marie-Madeleine and her spies that American and British military commanders had access to the 55-foot long map of beaches and roads on which the Allies landed on D-Day. Written with Olson‘s signature style and expertise, this new book is an incredible and fascinating account of one amazing woman giving her all to her country in dreadful times. With March Break upon us and summer vacation not too far beyond that, getting the kids stocked up on reading material is something that we can definitely help you with. From the new publishing imprint Rick Riordan Presents, comes a Cuban fantasy full of heart, humour, and the potential to tear a hole in the fabric of space and time! Sal & Gabi Break the Universe by Carlos Hernandez will delight readers just as much as Percy Jackson and the Olympians and Magnus Chase and the Gods of Asgard as they follow the unlikely duo of Sal and Gabi on an amazing adventure of magic and fun! And to think, it all starts with a chicken! The Revenge of Magic by James Riley, author of The Story Thieves series, is another winner that’s found its way onto our shelves recently. When magic suddenly re-enters the world through the discovery of powerful magical volumes amidst the bones of ancient dragons, life will never be the same, especially for thirteen-year-old Fort. After losing his father to a giant fantastical creature while on vacation, Fort is invited to join Oppenheimer School in order to learn how to wield this new magic and prevent more attacks from happening. But everything is not as it seems, and it’s up to Fort and his classmates to discover the truth before it’s too late! For all the comic book-loving teens out there, Faith Erin Hicks‘ Comics Will Break Your Heart is a must read! Part Romeo and Juliet story, part ode to comic book super heroes, this charming, funny book about a pair of star-crossed teens from rival families is a perfect read for anyone who loved Alex, Approximately by Jenn Bennett, The Statistical Probability of Love at First Sight by Jennifer E. Smith, The Last Boy and Girl in the World by Siobhan Vivian, or The Unexpected Everything by Morgan Matson! Though they don’t take nearly as long to read, some picture books can provide just as much pleasure and delight as a hefty novel! Full of beautiful illustrations by Victoria Tentler-Krylov, Lori Degman‘s Just Read! is a wonderful celebration of imagination, the joy of reading, and the innumerable ways in which we can enjoy books everyday! Written in rhyming couplets and covering every kind of reading from traditional books, to braille, to sheet music, to sign language, this lovely book is sure to entrance even the most reluctant of readers! For a healthy dose of adorable, why not pick up a copy of Tiny T.Rex and the Impossible Hug by Jonathan Stutzman. There is nothing in the world that can brighten your mood faster than a hug from your best friend. So, when Tiny’s friend Pointy the Stegosaurus is having a bad day, all Tiny wants to do is give him a hug. Unfortunately, this is an understandably difficult thing for Tiny to do with his teeny Tyrannosaurus Rex arms. After asking for advice from all his relatives and doing some vigorous hug training, Tiny comes to the realization that while he is small in stature, his heart is big and even the tiniest arms can give big hugs! With so many books deserving of their moment in the sun, it’s always hard to pick out the ones to highlight here every month. In light of that, here are a few more recent and forthcoming releases that we’re excited about: Death in Provence by Serena Kent; The Priory of the Orange Tree by Samantha Shannon; The Trial of Lizzie Borden by Cara Robertson; Unto Us a Son is Given by Donna Leon; The Raven Tower by Ann Leckie; The Care and Feeding of Ravenously Hungry Girls by Anissa Gray; The Avro Arrow: For the Record by Palmiro Campagna; Devices and Desires by Kate Hubbard; Dark of the West by Joanna Hathaway; The Witch’s Kind by Louisa Morgan (March 19); The Parade by Dave Eggers (March 19); The American Agent by Jacqueline Winspear (March 26); The Path Made Clear by Oprah Winfrey (March 26); Diary of an Awesome Friendly Kid by Jeff Kinney (April 9). So, even though we might be jumping the gun a bit by celebrating spring this early in the month, we do know that the snow will eventually go away, the grass will grow, and the birds will come back from their enviable winter holidays. In the meantime, we will take each sunny day we’re given and will even delight in the rainy ones. After all, trips to the bookstore are magical things no matter what the weather is doing! It’s almost that time of year again. The Canada Reads debates will be airing on CBC Radio One March 25th through the 28th. Whether you follow the show or not, read all the books beforehand, or only read the winner once its announced, this year’s list is definitely worth checking out. We currently have all five finalists in stock, so be sure to come by and see which one you think the entire country should read. Welcome to the second month of the year! Although it’s often described as one of the sadder months – with the joys of the holidays behind us and a seemingly endless stretch of winter in front – there are still plenty of ways to keep our spirits up as we continue to trudge through snowbanks and skid down sidewalks. Chief among these spirit-boosters, of course, is the joy that a new book can bring! So, with our city still firmly in winter’s chilly grip, make us your one-stop shop for all your winter survival needs: cozy socks, perfect mugs, and lots and lots of books! One happy day that we can look forward to during this slightly dreary month is of course Valentine’s Day! Traditionally celebrated as a day of romantic love, we are firmly in the “any love is good love” camp, be it for a parent, a child, a sibling, or a friend! And, although it could never be said that we are not huge fans of chocolates and flowers, it is equally true that we believe cards and books can convey just as much feeling as their more traditional counterparts. 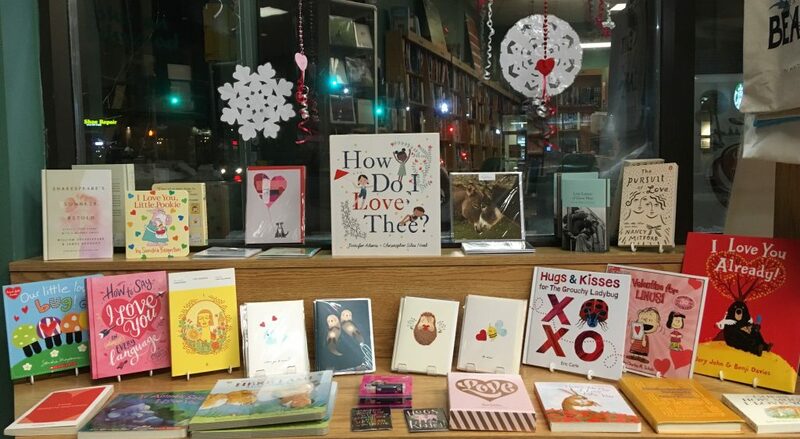 We have a wider selection of Valentine’s cards this year than we’ve ever had before, and a lovely collection of love-related books, so be sure to come by and see if you can find that perfect something for that special someone in your life. Despite what the pundits might say, there are few mediums in the world today that are as versatile as the printed book. It can teach, thrill, haunt, entertain, and offer escape to those who need it; sometimes it can even do all those things at once! One historical fiction series which has pushed many of those buttons for us is Santa Montefiore‘s trilogy about the Deverill family. Centred around an old country estate in Ireland, The Last Secret of the Deverills closes out this sweeping family saga just as the threat of World War II becomes a reality. Predated by Songs of Love and War and Daughters of Castle Deverill, this entire series will find you caught up in the trials and tribulations of a fascinating collection of characters, some of whom you will love, some of whom you will hate, and some of whom you will love to hate! It is the perfect salve for anyone who’s been desperately missing Downton Abbey! With all the stories about strong, independent women that have been making their way into the store in recent months, Marie Benedict‘s novel about the life of Hedy Lamarr couldn’t be more well-timed. The Only Woman in the Room delves beneath the glamorous Hollywood veneer to the fascinating woman beneath. Both intelligent and beautiful, an unwitting spy and a scientist, Hedy Lamarr was undoubtedly a woman ahead of her time! Winter, especially a winter like we’ve been having, is the perfect time to dive into an epic new fantasy series, and Man Book Prize winner Marlon Jameshas given us an amazing new novel that is not to be missed! Full of fantasy, history, mythology, and Marlon’s own unique imagination, Black Leopard Red Wolf has been touted as an African Game of Thrones. Set around the intriguing and slightly mysterious mercenary, Tracker, this epic fantasy takes readers on an unforgettable adventure through ancient cities and mystical forests as Tracker and his unlikely companions are hired by a slave trader to search for a child who’s been missing for three years. With a slight horror bent to it, Unbury Carol by Josh Malerman is at once a story of greed, trust, and love. Carol has only ever trusted two people with the truth of her strange condition: her gold-digging husband and her lost love. So, when she falls into one of her strange comas – a kind of sleep that is indistinguishable from death – there is only one person who can save her from her husband’s scheme to have her declared dead (and buried) in order to claim her fortune. With the darkness closing in and time working against her, Carol must hope that her own will to survive is enough to save her from her terrible fate should her love not arrive before it’s too late! From the brilliant mind that brought us the chilling novel BIrd Box (soon to be a show on Netflix), this new novel will keep you transfixed from beginning to end! Amid the seemingly endless number of wartime novels sprouting up these days, it’s not quite as common to come across a true story as captivating as Larry Loftis’ new book Code Name: Lise. As WWII rages across Europe, Odette Sansom, a new agent with the Special Operations Executive, has finally managed to land safely in German-occupied France in order to meet with her commanding officer, Captain Peter Churchill. Together they complete mission after mission successfully, all while evading the clutches of German secret police sergeant Hugo Bleicher. It’s during this time, amidst the danger and subterfuge of a war-ravaged country, that the two fall in love. Even once Bleicher eventually captures Odette and Peter and sends them to concentration camps, their love and loyalty -for their country and each other – don’t waver. Successfully weaving this tale of true courage, patriotism, and love, Loftis has produced an unforgettable book that is deserving of a place on everyone’s reading pile! Leaping forward to the 21st Century, a time of “fake news” and ever-changing media platforms, be sure not to miss Jill Abramson‘s brand new book Merchants of Truth. To illustrate the ongoing battle between print and digital media, this fascinating book looks at four of the biggest players in the business – The New York Times, The Washington Post, BuzzFeed, and VICE – and addresses some serious societal issues that have cropped up over the last decade. A veteran of print media herself, Abramson‘s book is a fair, well-researched work that is a must for anyone who enjoys reading about current affairs. As usual, there are so many new books and so little space in our newsletter to tell you about them all! Here are some more recent and forthcoming releases that we’re excited to have on our shelves: Find Momo Across Europe by Andrew Knapp; A Short History of Drunkenness by Mark Forsyth; There Are No Bears In This Bakery by Julia Sarcone-Roach; The Royal Rabbits of London by Santa and Simon Sebag Montefiore; On the Come Up by Angie Thomas; A Matter of Malice by Thomas King; A Cathedral of Myth and Boneby Kat Howard; Holy Lands by Amanda Sthers; The Golden Tresses of the Dead by Alan Bradley; Early Riser by Jasper Fforde (February 12); Be My Love by Kit Pearson (February 12); Watcher in the Woods by Kelley Armstrong (February 12); An Unfinished Murder by Ann Granger (February 19); The Study of Animal Languages by Lindsay Stern (February 19); A Year in Paris by John Baxter (February 26); The Priory of the Orange Tree by Samatha Shannon (February 26); The Huntress by Kate Quinn (February 26); The Wolf and the Watchman by Niklas Natt och Dag (March 5); Wings of Olympus by Kallie George (March 5); The Revenge of Magic by James Riley (March 5); See You in the Piazza by Frances Mayes (March 12). Although the days are still snowy and the nights are still cold, there’s nothing that will make you feel better about the weather than having new books to read! Luckily, we are in the perfect position to help you out with that! So strap your cleats onto your boots, tie your scarf up around your neck, and come pay us a visit! We will be CLOSED on Monday, February 18 for Family Day! Regular store hours will resume on Tuesday, February 19. We hope you all have a great long weekend! “When her life running a cat-friendly cruise line becomes a little too much, Miss Marcella Mink naturally turns to her 67 cats for advice! 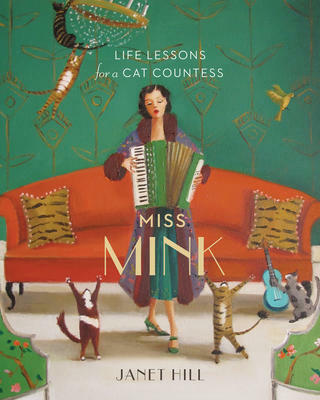 Their twenty life lessons are what accompany Janet Hill’s whimsical paintings in this beautiful, charming book! Happy New Year! It’s hard to believe we’re over a week into 2019 already. Time flies when you’re having fun – and we definitely can’t deny that we have lots of that in the shop every day! From the endless supply of books that surround us, to our very special bookstore team, to all of our wonderful customers who make coming to work such a pleasure; we are really so incredibly fortunate! 2018 was an amazing year for us and we wanted to take this opportunity to thank you all for your unwavering support day-in and day-out. It’s because of loyal customers like you that our store gets to keep on plugging along and we get to keep doing this job that is, in our eyes, the best one ever! January is typically a fairly quiet month for us here at the store, especially after the busy Christmas season, but that doesn’t mean the things grind to a halt! New books are still arriving every day, we’ve got authors coming to visit, and our annual inventory sale is right around the corner! So, things might move at a slightly slower pace this time of year, but there are still lots of reasons to pay us a visit as we make our way through the cold winter months together. We only have one event to tell you about this month, but it’s a pretty exciting one! Crusoe the Celebrity Dachshund (and his person, Ryan Beauchesne) will be here on Saturday, January 12 from 2:00pm to 4:00pm to sign and “pawtograph” copies of Crusoe’s new book, Crusoe, the Worldly Weiner Dog! We are so looking forward to meeting Crusoe and having him here in the store. This is a one of a kind event for us and we really hope you’ll be able to pop by! For those of you who have been asking about our Titles@Table40 series, rest assure that we will be sending out news soon. We have a few things in the works and will let you all know the details as soon as we have them nailed down. Keep your eyes glued to your inbox for announcements in upcoming newsletters and event mail-outs! Something else that a number of you have been asking us about is our Annual Inventory Sale, and we’re pleased to report that it’s now only days away! From Sunday, January 13 to Saturday, January 26, we will be celebrating winter by offering discounts on pretty much everything in the store. All books will be 30% off, 2019 calendars will be 20% off, and all gift items (such as puzzles, games, bags, mugs, and cards) will be 25% off. Items that won’t be on sale include our small selection of CDs, magazines, items already marked down, and special orders. So, if you have a list of things that Santa wasn’t able to bring you or if your gift card is burning a hole in your pocket, now is the perfect time to come in and have a browse around! After all the excitement of our two week long sale, we’ll be CLOSED on Sunday, January 27 so we can recover…and take an inventory of everything we have left in the store! Our regular store hours will resume on Monday, Janauary 28 at 9:30am. The last few months of year always tend to be a busy time, but we hope you all managed to find some peace amid the festive fun, and that you enjoyed a holiday season filled with family, friends, laughter, and books! Wishing you all a 2019 marked by good health, happiness, and copious amounts of reading material! If you need help with that last bit, just let us know – we know the perfect place! 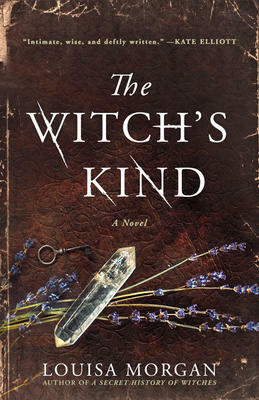 “When I first read The Witches of New York just over two years ago, I completely fell in love with Beatrice, Adelaide, and Eleanor and their magical story. So, naturally, I was extremely excited when I got my hands on this new book! Any chance to spend more time in McKay’s wonderful 19th Century New York! Featuring a glittering New Year’s Eve masked ball, this magical story of love, friendship, and new beginnings is the perfect book to read this time of year! One of the truly great writers of the century reaches beyond the very top of his game in this uncannily timely knockout of a novel. 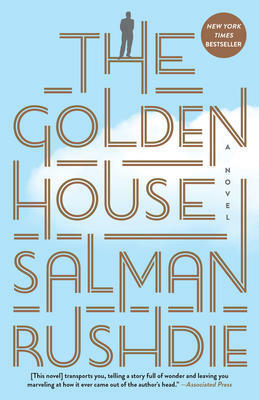 In quality and compelling scope, this is Rushdie’s The Godfather meets The Great Gatsby–an unparalleled modern-day American thriller, with wonderful, moving characters and a grippingly entertaining story straight out of today’s headlines, set against the panorama of American culture and politics from the inauguration of Obama to post-election Trump. When powerful real-estate tycoon Nero Golden immigrates to the States under mysterious circumstances, he and his three adult children assume new identities, reinventing themselves as emperors living in a lavish house in downtown Manhattan. Arriving shortly after the inauguration of Barack Obama, he and his sons, each extraordinary in his own right, quickly establish themselves at the apex of New York society, even as Nero Golden continues to raise huge buildings carrying his name in gold letters. The story of the powerful Golden family is told from the point of view of their Manhattanite neighbour and confidant, René, an aspiring filmmaker who finds in the Goldens the perfect subject. René chronicles the undoing of the house of Golden: the high life of money, of art and fashion, a sibling quarrel, an unexpected metamorphosis, the arrival of a beautiful former model, betrayal and murder, and far away, in their abandoned homeland, some decent intelligence work that could ruin Nero Golden forever. Invoking literature, pop culture and the cinema, Rushdie spins the story of the American zeitgeist over the last eight years, hitting every beat: the rise of the birther movement, the Tea Party, and identity politics; Gamergate; the backlash against political correctness; the ascendancy of Superman and Batwoman and the superhero movie; and, of course, the insurgence of a ruthlessly ambitious, narcissistic villain with painted skin and coloured hair. Often in a van, sometimes in a bus, occasionally in a car with broken wipers “using Bob’s belt and a rope found by Paddy’s Pond” to pull them back and forth, Alan and his bandmates charted new territory, and he constantly measured what he saw of the vast country against what his forefathers once called the Daemon Canada. In a period punctuated by triumphant leaps forward for the band, deflating steps backward and everything in between–opening for Barney the Dinosaur at an outdoor music festival, being propositioned at a gas station mail-order bride service in Alberta, drinking moonshine with an elderly church-goer on a Sunday morning in PEI–Alan’s few established notions about Canada were often debunked and his own identity as a Newfoundlander was constantly challenged. 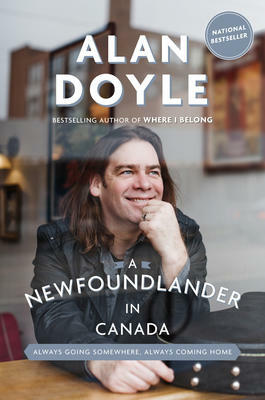 Touring the country, he also discovered how others view Newfoundlanders and how skewed these images can sometimes be. 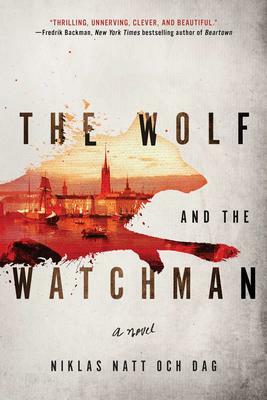 The bestselling author of The Paris Wife returns to the subject of Ernest Hemingway in a novel about his passionate, stormy marriage to Martha Gellhorn—a fiercely independent, ambitious young woman who would become one of the greatest war correspondents of the twentieth century. In the shadow of the impending Second World War, and set against the turbulent backdrops of Madrid and Cuba, Martha and Ernest’s relationship and their professional careers ignite. But when Ernest publishes the biggest literary success of his career, For Whom the Bell Tolls, they are no longer equals, and Martha must make a choice: surrender to the confining demands of being a famous man’s wife or risk losing Ernest by forging a path as her own woman and writer. It is a dilemma that could force her to break his heart, and hers. 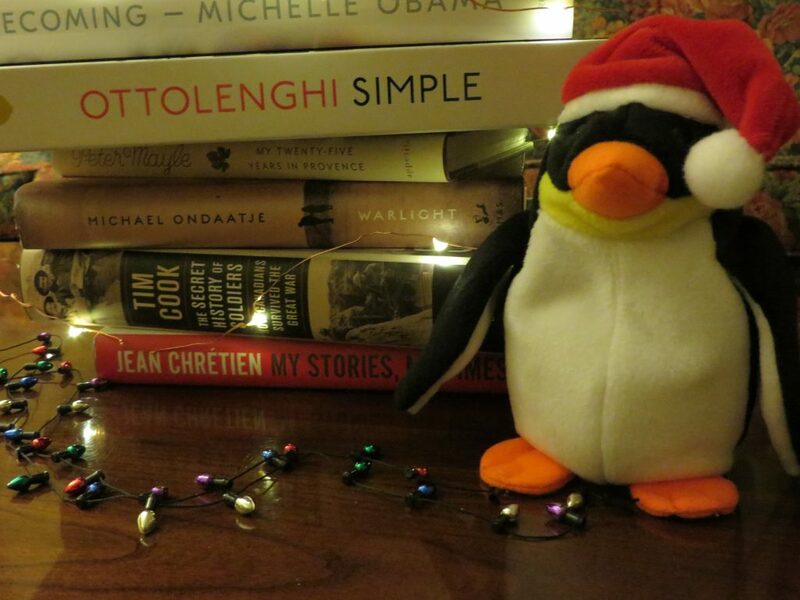 The 12 Days of Penguin Random House Christmas!!! It’s snowy outside and Santa’s readying his sleigh which means it’s time once again for our annual 12 Days of Penguin Random House Christmas promotion!!! 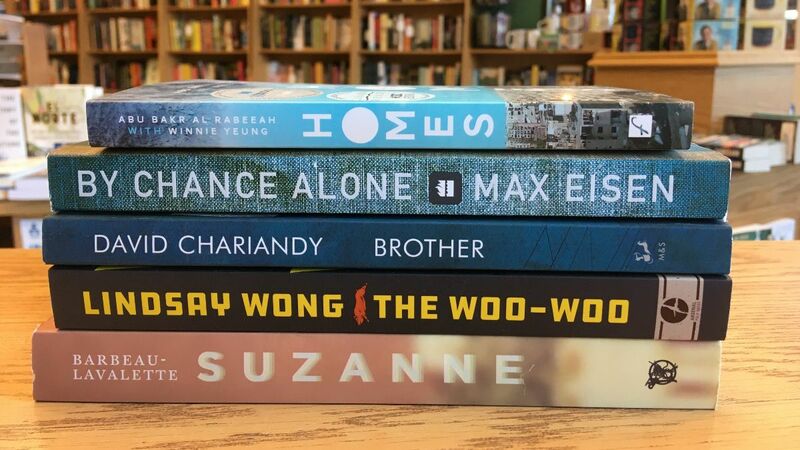 From Thursday, December 13 to Monday, December 24, we will be featuring one PRH title per day at 20% off! The sale is only valid on a book’s specific day and while quantities last, so pop in early on the days you’re most excited about to ensure you snag one of these great books and make your Christmas celebrations complete! ** due to publisher stock shortages, we have removed Becoming by Michelle Obama from our promotion list and replaced it with Elizabeth Hay‘s memoir All Things Consoled. On Saturday, December 1, come celebrate the season with us and three Crime Writers of Canada mystery authors who hail from our local area! The fun starts at 10:00am with the arrival of Michael McCann who will be here until noon to sign copies of his new March and Walker Crime Novel, Persistent Guilt. From noon to 2:00pm, R.J. Harlick and T.E. 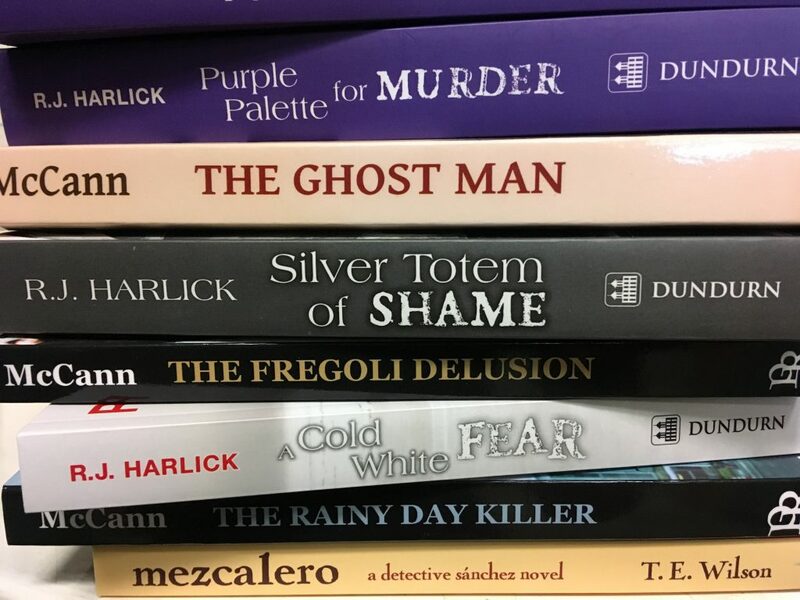 Wilson will be in the store to sign their newest mystery books, Purple Palette for Murder (A Meg Harris Mystery) and Wild Dogs of Mexico (A Detective Sanchez Novel), respectively. It’s always a great time when our local mystery authors come to call, so be sure to stop by to meet them and take home a new mystery or two! 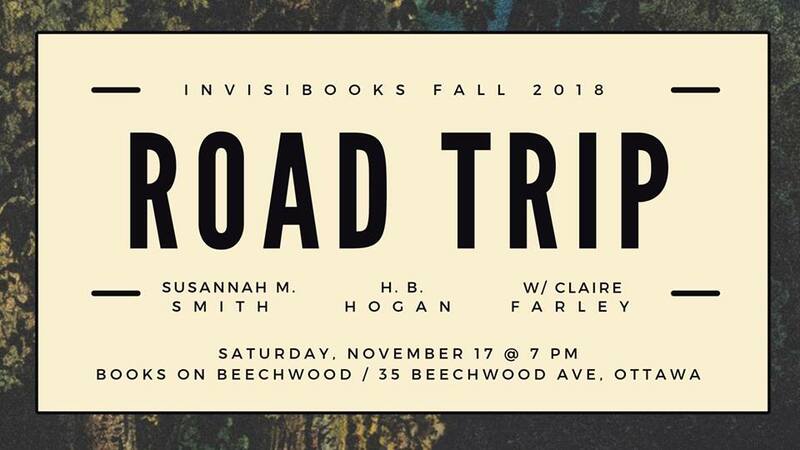 ROAD TRIP begins with an evening event here in our store on Saturday, November 17 at 7:00pm, hosted by Claire Farley. CLAIRE FARLEY (Ottawa) is Publisher and Editor of CANTHIUS, a feminist magazine publishing poetry and prose by women and genderqueer writers. *Shazia Hafiz Ramji was originally scheduled to appear as part of this event. Unfortunately, she is unable to attend. 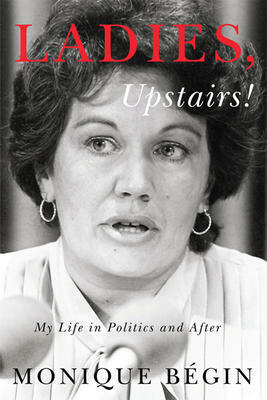 We hope she’ll be able to visit Ottawa soon! We will be CLOSED on Sunday morning until noon for Remembrance Day. Hours of operation will be 12:00pm to 5:00pm.